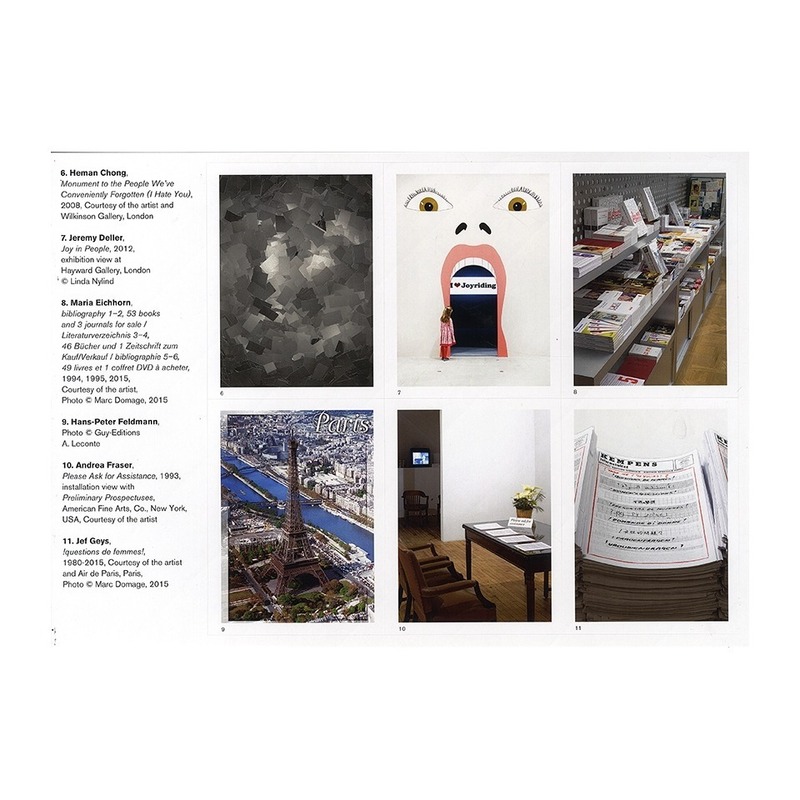 Etel Adnan & Simone Fattal, Paweł Althamer, Christian Boltanski, Kerstin Brätsch & Sarah Ortmeyer, James Lee Byars, Heman Chong, Jeremy Deller, Maria Eichhorn, Hans-Peter Feldmann, Andrea Fraser, Gloria Friedmann, Jef Geys, Gilbert & George, Felix Gonzalez-Torres, Douglas Gordon, Christine Hill, Carsten Höller, Fabrice Hyber, Bertrand Lavier, Jonathan Horowitz, Koo Jeong-A, Alison Knowles, Angelika Markul, Gustav Metzger, Otobong Nkanga, Roman Ondák, Yoko Ono, Philippe Parreno, Sean Raspet, Takako Saito, Daniel Spoerri, Wolfgang Tillmans, Rirkrit Tiravanija, Amalia Ulman, Franco Vaccari, Danh Võ, Lawrence Weiner, Franz West and the artists Ho Rui An, Felix Gaudlitz and Charlie Malgat of 89plus. 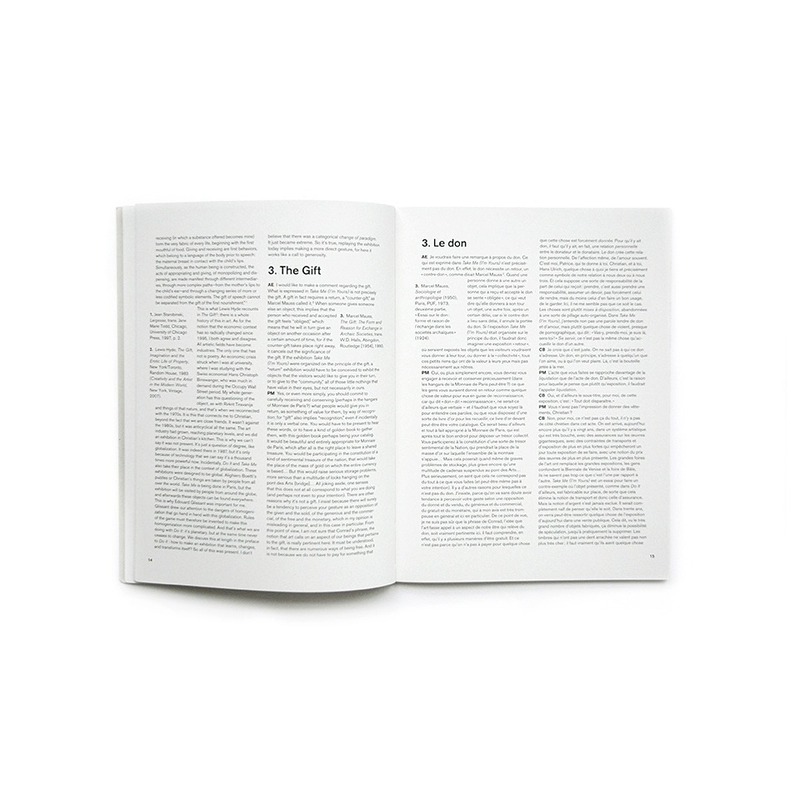 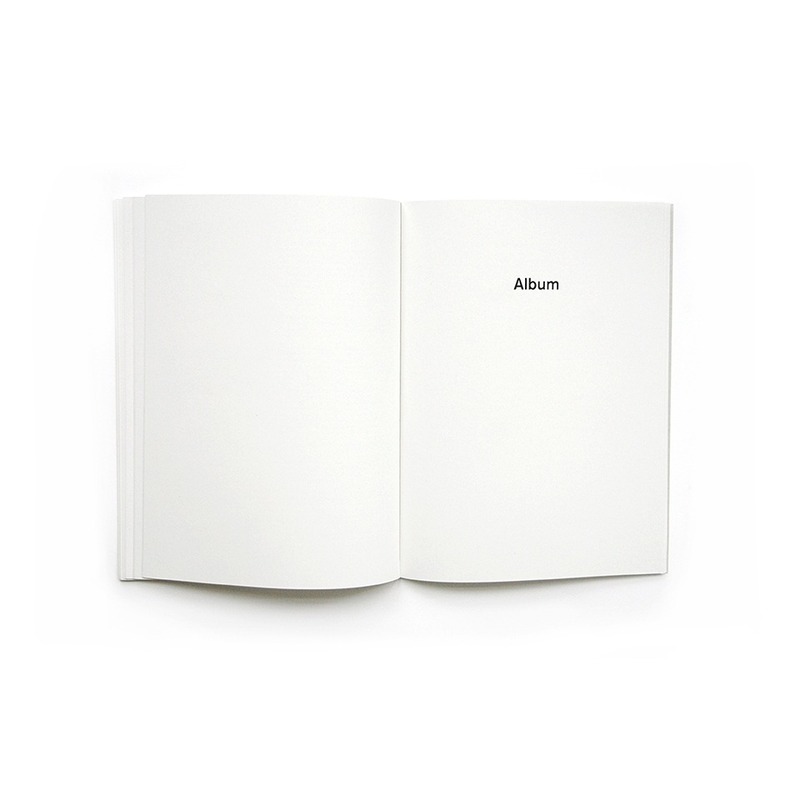 This publication is conceived as an extension of the exhibition with the participation and manipulation of the object at the heart of the project. 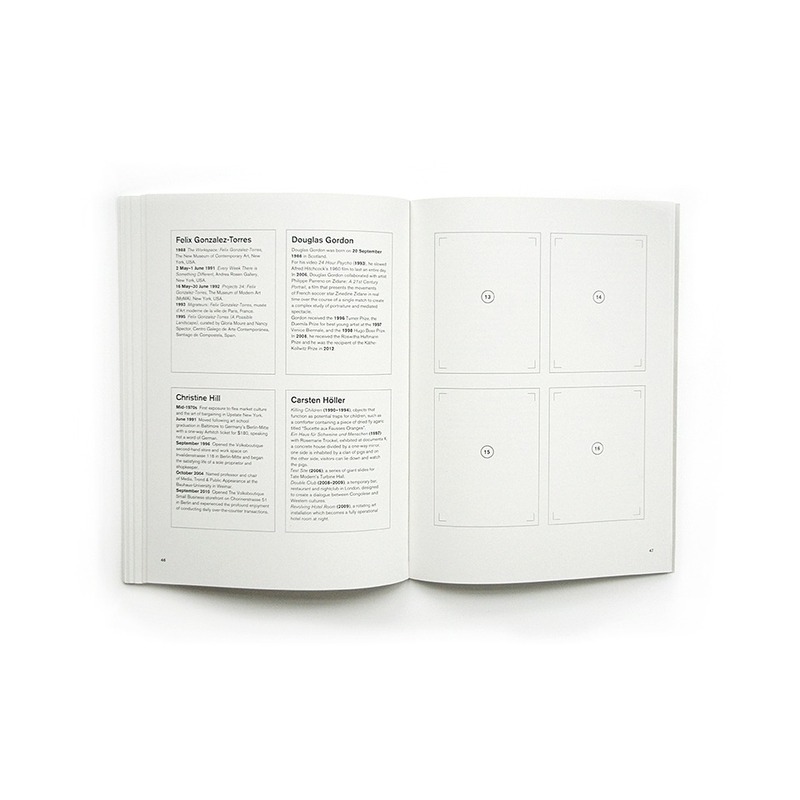 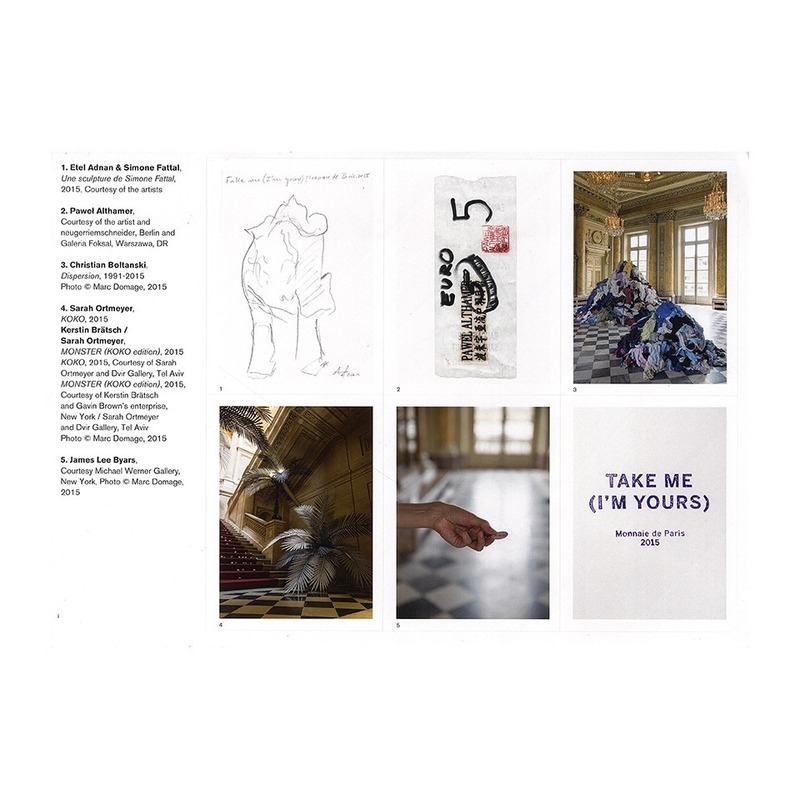 The same nature of the exhibition resonnates in this atypical catalogue conceived as a sticker album or a lecture is reported to detach and replace the images in empty frames corresponding to the projects of the 44 artists presented in the exhibition. 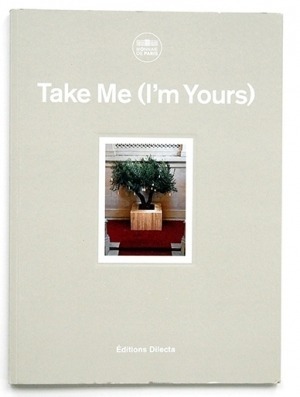 This piece is completed by texts by Christophe Beaux and by Chiara Parisi and includes a conversation between Christian Boltanski, Hans Ulrich Obrist, Arnaud Esquerre et Patrice Maniglier which questions, from different perspectives (philosophical, sociological, artistic, economic...) the stakes of an exhibition such as Take Me (I’m Yours).